Prior to the latter 5th century the overlordship of Leinster was held by the Fir Domnann. They are sometimes cited as a tribe of Firbolgs, usually called Damnonii. The Fir Domnann were claimed to be connected to the Dumnonii tribe who invaded Leinster sometime before the 4th century, and were said to have come from western Caernarvonshire, south of Anglesey, in Wales. Another very early conquering tribe comes down from native tradition as the Gáileóin, who perhaps can be later identifed as the Gailenga of Meath and north county Dublin. Galion and Domnand, alias Laigin, as said in Táin bó Cualnge. The last of the Dumnonians ruled in the 5th century under the tribal name of Dál Messin Corb. They were ousted by what may be called the original Laigin tribes of the Uí Failge, Uí Bairrche and Uí Enechglaiss. At around the same period the Loígis and Fothairt were mercenary tribes of the Laigin and probably of Cruithin (Pict) origin. The Uí Bairrche are in turn said to be related to the Brigantes tribe of northern Britain, and they ruled southern Leinster from the earliest centuries A.D. until their power was broken by the Uí Cheinnselaig. In the 9th century the chief dynasties which controlled all of the southern and central regions of Leinster were the Uí Cheinnselaig and the related tribes of Uí Dega and Uí Drona. The northern regions were controlled by the Uí Dúnlainge with their stronghold at Naas from the 7th century. In the 8th century the Uí Dúnlainge dynasty branched out into three powerful septs of Uí Muiredaig, Uí Dúnchada, and Uí Fáeláin. The family name of the Uí Dúnchada at the time of the Norman Invasion was Mac Gilla Mo-Cholmóg, which later became Fitz Dermot. Descendants of the Uí Muiredaig included the O'Tooles. Descendants of the Uí Fáeláin included the O'Byrnes. Click here for a Physical Map of the Leinster region. The Laginian tribes of Leinster descend from Cú Corb, a descendant of Find File. From Cú Corb's son Messcorb descend the Dál Messin Corb and the Uí Garrchon (Ua Ferghaile or O'Farrelly), later to be referred to as the Fortuatha, or Alien Tribes. From Cú Corb's son Cairpre descend the Dál Cairpre Arad, whose territory was in Munster. From Cú Corb's son Corbmac descend the Dál Cormaic, Uí Gabla, Uí Labrada and Uí Buide (O'Kealy). From Cú Corb's son Nia Corb descended Cathair Mór and Maine Mál. Maine Mál was the ancestor of the Uí Máil, which included the septs of the Uí Theig (O'Tighe) and Uí Ceallaig Cuallan (O'Kelly of the Wicklow hills). Cathair Mór was the ancestor of the Free Tribes of Leinster: through his son Ross Failge descended the Uí Failge. The Uí Failge dynasty later divided into the three septs of Ua Conchobair Failghe (O'Connor Faly), the Uí Riacáin (e.g. O'Dunne), and the Clann Máellugra (e.g. O'Dempsey). Through Cathair Mór's son Crimthann descended the Uí Crimthainn Áin (e.g. O'Duff), through Cathair's son Daire Barrach descended the Uí Bairrche (e.g. O'Gorman), through Cathair's son Ailill Cétach descended the Uí Cheithig, through Cathair's son Bressal Enechglass descended the Uí Enechglaiss (O'Feary), and through Cathair's son Fiachu Baicced descended powerful septs who were to later dominate Leinster prior to the Norman Invasion of the late 12th century. Bressal Bélach, son of Fiachu Baicced, was the father of Enna Nia and Labraid Laidech. Enna Nia was the progenitor of the Uí Fergusa, the Uí Briúin Cuallan (Cosgrave), and the Uí Dúnlainge. Labraid Laidech was the ancestor of the Uí Dega (O'Hay), the Uí Cheinnselaig and the Uí Dróna (O'Ryan). The Uí Dúnlainge dynasty branched out into the three powerful septs of Uí Muiredaig (O'Toole), Uí Dúnchada (Fitz Dermot), and Uí Fáeláin (O'Byrne). They dominated northern Leinster in the centuries prior to the Norman Invasion. The Uí Cheinnselaig dynasty branched out into the powerful sept of the Sil Fáelchán (Mac Murrough), as well as the septs of the Uí Fergusa, the Uí Felmeda Thes (Murphy), the Uí Felmeda Tuaid (O'Garvey), the Sil Chormaic, and the Sil Máeluidir (Hartley). They dominated southern and central Leinster in the centuries prior to the Norman Invasion. Non-Laginian tribes of Leinster included the Loígis (O'More), the Benntraige (O'Coskry), the Fotharta Fea (O'Nolan), and the Fotharta in Chairn (O'Larkin). For further information, see Tribes of Laigen. Tribes outside the 750 A.D. Laigen territorial boundary (and within the boundary of modern Leinster province) included the powerful Southern Uí Néill septs of Clann Cholmaín and Síl nÁedo Sláine of Mide and Brega respectively. The territory of Osraige (Co. Kilkenny and southeast Co. Laois) was also not included in Laigen (Leinster) at this time, but instead was under the authority of Munster (Mumu or Mumhan). Éle (or Ely) in southern Offaly extended further south into Co. Tipperary and was considered part of Munster (Urmuma or Ormond). County Carlow - early septs included MacMurrough, Kavanagh (of Ui Cavanagh), O'Doran, O'Nolan (of Fotharta Fea), O'Ryan (of Ui Drona). 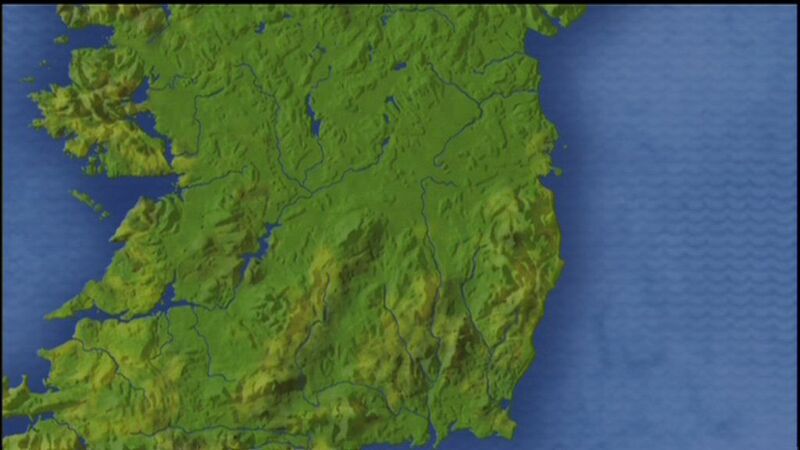 County Dublin - early septs included FitzDermot (of Uí Dúnchada), O'Casey (of Saithne), O'Hennessy (of Gailenga Bec). County Kildare - early septs included O'Toole (of Uí Muiredaig), O'Byrne (of Uí Fáeláin), O'Keary (or O'Carey, of Uí Cairpri Laigin), MacKeogh. County Kilkenny - early septs included Fitzpatrick (of Ossory), O' Brennan (of Ui Duach), Kealy, Phelan, (Mac)Breen, Muldowney, O'Kelly (of Ui Bearrchon), O'Gloran (of Callainn), O'Carroll (of the Reddened Spears), O'Keveney or O'Coveney. County Laois - early septs included O'More (of Ui Laoghis), Fitzpatrick (of Upper Ossory), O'Devoy and O'Duff (of Ui Crimthainn Áin), O'Dempsey (of Clanmaliere or Clann Máellugra), O'Gorman (of Ui Bairrche), O'Tracy (of Slievemargy), O'Dunne (of Ui Riagan), MacEvoy (of Muintir Fhiodhbhuidhe). The so-called "seven septs of Laois" included O'Moore, O'Kelly, O'Devoy, O'Doran, O'Lalor, O'Dowling and McEvoy. County Longford - early septs included O'Farrell (of Annaly), O'Quinn (of Teffia), O'Ronan (of Cairpre Gabra), Mac Caron or Gaffney (of Muintir Mailsinna), the Sil Ronain (of Fir Chul). County Meath - early septs included MacGlaughlin (of Síl nÁedo Sláine), O'Kenellan (or Quinlan, of Cenél Lóigaire), O'Hennessy (of Uí Mac Uais Breg), O'Clerkin (of Caille Follamain), O'Kernaghan (of Luigne), O'Hay (of Odra), O'Fallon (of Crich na Cetach), O'Duane (or O'Devine, of Knowth), O'Connolly and O'Higgins (of the southern Uí Neill), O'Regan (of the Four Tribes of Tara). County Offaly - early septs included O'Connor (of Ui Failge), O'Carroll (of Ely), O'Molloy (of Fir Cell), MacCoughlan (of Delbna Ethra), O'Holohan and O'Hennessy (of Clann Cholgaín), O'Carney (or Fox, of Muinter Tadgain). County Westmeath - early septs included MacLoughlin (of Clann Cholmaín), MacGeoghegan (of Cenel Fiachach), O'Conry (of Teffia), MacConway (of Muintir Laodagain), O'Breen (of Breaghmaine, Luigne and Conmaicne), O'Heneran (or O'Hanrahan, of Corca Roíde), Fenelon (of Delbna Mor), O'Dooley (of Fir Tulach), O'Toler (Conmaicne Bec), MacEvoy (of Ui Maic Uais), O'Loughnan (of Teffia), O'Daly (of Corco Adaim), Mac Auley (of Calraige Chala), O'Curry (of Uí Mac Uais Mide), O'Hart (of Síl nÁedo Sláine), Mulholland (of Delbna Bec), Mac Rourke (of Teallach Conmasa), O'Carbury (of Tuath Buada), O'Loughan (of Gailenga Mor), O'Hanfey (of Fir Bile), O'Scully (of Delbna Iathair), Mac Tully (of Ui Maic Uais Mide). County Wexford - early septs included MacMurrough (of Ui Ceinnsealaigh), O'Larkin (of Fotharta in Chairn), Murphy (of Oulartleagh), O'Coskry (or O'Cosgrave, of Benntraige). County Wicklow - early septs included O'Byrne (of Crioch Branach), O'Toole (of Glendalough), O'Dowling (of Sil Elaigh), O'Kelly (of Cualann), O'Cosgrave (of Uí Briúin Cuallan), MacKeogh.